Wild coastline, tranquil bay beaches, breathtaking scenery and spectacular views- The Mornington Peninsula has it all. 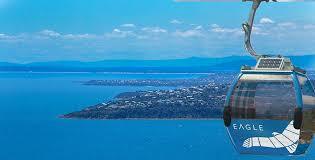 This tour will take in the stunning panoramic views from Arthurs Seat, the famous beach boxes and more. Discover the historic Cape Schanck Lighthouse on the rugged Bass Straight coastline.